Before you can use The Law of Attraction, and all the other great tools I teach, to create every good thing you want in your life, you must be ready to accept all those good things. For many of us this is the hardest part. How many times has somebody offered to help you, maybe offered to pay for a shared taxi or something, and you have said "Oh no, that's alright, I'll pay". Well if you can't accept a taxi fair from a friend, how are you ever going to accept the new life you want from the Universe? This may be due to a deep seated belief you are probably not even conscious of. It probably goes something like this: "I am really not a very good person so I don't deserve to have the things that I want. Remember that awful thing I did twenty years ago, I deserve to be punished not rewarded". Come on! That was a long time ago. You have grown and evolved since then. You would not do the same thing today. Make amends if you can, and if you can't just forgive yourself anyway and move on. And remember, you would not be the kind, loving, wise being you are today had you not gone through that and learnt its lessons. You may not be able to make amends with the people you hurt but what goes around comes around so you can make up for it by helping other people, the people who are in your life now, instead. And if ever you run into those earlier people again just say, "I am sorry, I know I hurt you but I was being the best person I knew how to be at the time. I know how to be a very much better person now and I am using that knowledge to help others". None of us, no matter how saintly, can go through life without making mistakes and without hurting others. We all do some good and do some harm. The important thing is to make sure that we do more good than harm. If we know we have done more good than harm in our lives then the world has benefitted from our time here and we can rightly feel worthy to receive all of life's blessings. As I said, you may not be aware of any of this on the surface. Consciously you may think you are a pretty ok kind of person. However if you find your self talk saying things like "I could never have that" or "I could never stay in that hotel" or "I could never fly first class", stop and ponder. Do you have an unworthy undercurrent running through your subconscious? Self image is the way we see ourselves and how we feel about ourselves. It can be complex and multi-faceted. 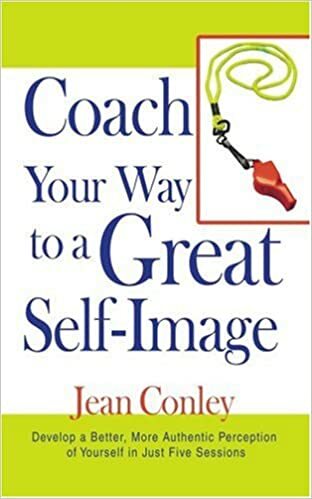 Its important to try and connect with our self image, to bring it into the open where we can work on it. At various times each day ask yourself "How do I feel about myself right now?" Really listen to the answer. For this exercise its important to really listen to the answer. Don't instantly replace anything negative with a positive affirmation as any self respecting Law of Attraction practitioner normally would. Later but not yet. First listen to the message and it will reveal an undercurrent of false beliefs you never even knew exited. You can also look in the mirror and ask yourself "How do I look to myself right now?" Yes its ok for the boys to do this as well as the girls. If asking this question makes you feel fat and ugly, skinny, hairy, bald, bloated, maybe you need to give yourself more love and affection, more nurturing. Yes it really is ok to love ourselves, indeed it is essential. We are not being conceited. In fact we cannot love anyone else, our family, friends, pet, the planet, until we first develop a healthy love for ourselves. Once we have discovered our negative undercurrents we have started to replace them. Affirmations and creative visualisation are great tools to help us develop a healthy self love and a positive self image. You can also use suggestion audio programmes such as the excellent ones offered by the Think Right Now team. I have used several of these and have derived great benefit from them. There was one which didn't really suit me but everything else I have purchased from them has been spot on the mark. The reason our self image may not be accurate is that we have been brainwashed since birth to believe we are inadequate. Affirmations, creative visualisation and suggestion audio programmes are brainwashing too but now we are doing the brainwashing to ourselves, now we are fighting back. Always try to think of your own better qualities and remind yourself of them often.